At Yarnspirations, our goal is to make finding Yarnspirations patterns, inspiration, and your favorite products such as Caron, Bernat, Patons, Lily Sugar N’ Cream, and more – super easy. We have tried to answer most of the questions you may have in our FAQ, but just in case we did not please contact our Yarnspirations team, as they will be happy to help! Have questions on your order or are you looking for order support on a Yarnspirations order that you have placed? Click on the related links below to find the answer that you are looking for. 1. Can I add or remove an item to the order I recently submitted? Once an order is submitted, it is immediately sent to our warehouse to be processed and cannot be changed or updated. Most orders are shipped the same day that they are placed. Have additional questions? Our Customer Care team is happy to help here. 2. Can I change the address on the order I recently submitted? Once an order is submitted, it is immediately sent to our warehouse to be processed and cannot be modified in any way. Unfortunately, the shipping address cannot be changed. Most orders are shipped the same day that they are placed. 3. What is your Order Acceptance Policy? Yarnspirations & Spinrite Yarns Online Inc. reserve the right at any time after receipt of your order to accept or decline your order for any reason. The Yarnspirations e-commerce enabled site is for orders from end-user consumers only. Orders from resellers, exporters, wholesalers or other customers who intend to resell products offered on this site will not be accepted and cancelled immediately upon receipt if placed. Can I cancel an order I recently submitted? Once an order is submitted, it is immediately sent to our warehouse to be processed and cannot be modified in any way. Most orders are shipped the same day that they are placed. All purchases on Yarnspirations.com can be returned for a full refund, less shipping & handling, if done within 45 days of purchase. We currently offer Visa, Mastercard, American Express and PayPal as payment options. 2. How is Sales Tax calculated? When placing an order you will be given an order total based on an estimated sales tax. Once your order is processed and an invoice is generated the actual sales tax will be calculated according to the laws of the province to which the order is shipped. Items sold on this website and shipped to any province or territories in Canada are subject to the applicable sales tax of the destination province/territory. If available, free standard shipping applies only to shipping and handling expenses on orders over the specified amount of the promotion. Promotion only applies to the order subtotal, excluding sales tax, placed anywhere within the website or through the Customer Care call center. The Free Standard Shipping Promotion only applies to Standard Shipping. The promotion excludes Expedited Shipping, for which the listed rates apply. The Free Standard Shipping Promotion only applies to delivery addresses within the United States & Canada. Orders must ship to a single address. The Free Standard Shipping Promotion is not valid if items in an order are canceled, bringing the subtotal below the promotion’s defined threshold. Promotion will be applied as a credit towards the Standard shipping and handling fee. Promotion is not valid for cash or cash equivalent or towards previous purchases. Spinrite Yarns Online Inc. reserves the right to change or discontinue the free standard shipping promotion at any time without notice. At Yarnspirations we want you to be 100% satisfied with your purchase. If, for any reason, you are not completely satisfied with your purchase, you may return your item(s) to us within 45 days of receipt for an exchange or refund of the purchase price (less shipping and handling charges). 2. How do I return an order? If you are not satisfied with your purchase and would like a full refund (less the cost of shipping the product back to our facility), you must ship the product(s) back to us so that is received within 45 days from the date of purchase. Please package the item(s), unopened and unused, in a box with the original packing slip. A copy of the packing slip or a copy of your order confirmation email is also acceptable. Please do not send any return without one of these items, we will be unable to identify and verify your purchase and a refund will not be processed. 3. Is there a specific shipping method I should use to send back my order? We can accept return from any carrier but would recommend that you select a method which includes a tracking number in the event your shipment does not reach us. 4. I’ve returned my item. How soon will I receive my refund? Refunds on returned item(s) will be issued in the same payment form as was used at the time of purchase and should appear as a credit in your account within 1-2 billing cycles. Please allow up to 10 business days from the time your package is received for processing. Have questions on your order or are you looking for order support on a Yarnspirations order that you have placed? Click on the related links below to find the answer that you are looking for. For additional, more detailed information on shipping, please read our Shipping Policy. All orders shipped to addresses within the United States or Canada can be sent via Standard or Expedited service. Expedited service is not available for orders shipped to international addresses outside of the U.S. and Canada. If your order is shipping outside the US and Canada, your shipment will be eligible for customs, duties and/or additional taxes depending upon the laws of your particular country. Yarnspirations does not collect any of these at time of payment and are the sole responsibility of the purchaser. We try our best to ship to all destinations where crafters like us are eager to get our yarns. For a complete list of countries that we currently ship to please refer to the Shipping Estimator on the Cart Page. We love how worldwide the love for our yarns is so if you don't see your country on the list please reach out to our Customer Care team here and so we can look into adding your country as a shipping option going forward. Having trouble with a certain stitch or reading a pattern? Wondering where a pattern you paid for in the past is hiding? Check out our Pattern FAQs below for all the info you need. 1. How do I get one of your free patterns? All of our patterns are easy to download directly from the pattern's page and are available in Adobe PDF format. They are optimized to print out on your printer at home or view on your device's screen. We recommend installing the latest version of Adobe Acrobat Reader to ensure you aren't missing out on any of the goodies featured in our pattern files. 2. I found an error in one of your patterns, what do I do? We're sorry about that! If you happen to come across an error in one of our patterns please let us know so we can update our files and make things right! Please contact our Customer Care team directly here and let us know what you've found! 3. Where can I find a list of the abbreviations you use in your patterns? Abbreviations used in each pattern are listed with that patterns directions for quick reference. But, if you'd like a full list of all abbreviations, follow the appropriate skill type link below to see the complete list of abbreviations so you can get to stitching! 4. Do you offer print versions of your patterns? All patterns are available on Yarnspirations for download. While we do not offer printed patterns, you may print the pattern yourself once you have downloaded it as a PDF. Please note that pattern kits only include an online PDF version of your pattern as well— it will not be printed and included in your shipment. 5. I have found a pattern on your website that I love, can you provide it written for a different size? While some patterns are written for multiple sizes or for both adults and children, we are limited in the range of patterns we are able to produce for Yarnspirations.com. All available patterns are listed on our site— if you do not see your size listed, you may be able to modify the pattern yourself. 6. I have found a pattern on your website that I love, but it is written for knit and I only crochet (or vise versa). Can you help? While some patterns have been written for both knit and crochet, most patterns have been specifically written for just one craft type. Unfortunately, we cannot provide both versions for every pattern on Yarnspirations.com. 7. Can I sell something I made using one of your patterns? 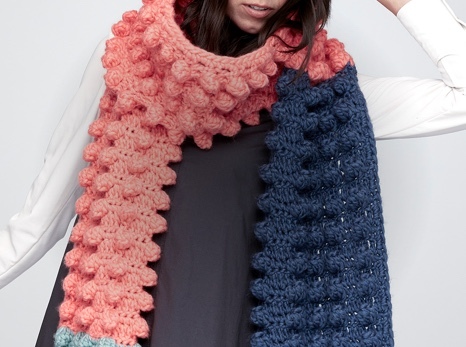 Our patterns are only available for home craft-knitters and not for commercial use. However, you are permitted to sell your completed item at a small scale, e.g. a small craft fair or church bazaar, under the stipulation that you credit the brand of yarn you used and credit our website: http://www.yarnspirations.com. 1. Do you offer paid patterns on your site? We no longer offer patterns for purchase on Yarnspirations.com. All patterns on our site are free for all to use, share and inspire crafters everywhere! 2. 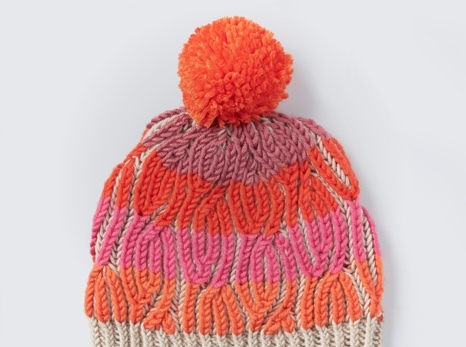 I purchased a pattern from you in the past, where can I find it to save or re-download? If you have purchased a pattern from us in the past you will need to contact our Customer Care team to obtain a copy of your pattern. Paid pattern downloads are not accessible from the My Account section of the website. To get a copy of your pattern, contact our Customer Care team here. Have questions about a product? We're here to provide support and to help make your project a success. Click on the related links below to find the answers that you are looking for. 1. Will my order contain yarn from the same dye lot?? As knitters and crocheters ourselves, we understand the importance of consistent dye lots when working a project. That is why Yarnspirations will always ship items within the same dye lot— guaranteed! 2. Can I select the specific dye lot of the yarn when I order? Unfortunately, you cannot specify which dye lot your yarn comes from. We are unable to match dye lots of yarn you have already purchased because our warehouse only has the most recently manufactured product in stock. This is why we encourage you to purchase a sufficient quantity of yarn for your project when you place your original order on Yarnspirations. 3. How do I set the dye in my yarn? While not necessary with most of our products, you may find that you need to set the dye in your yarn to prevent it from bleeding. This is more common with yarns that feature a rich, dark color, because these require a heavier application of dyes, which may not fully absorb into the yarn. After your project is completed, soak it in a solution of cold water with ½ to 1 cup of coarse salt, depending on the size of your item. After half an hour of soaking, rinse your item with clean water. Prepare a solution of equal amounts white vinegar and water, which you will use to soak your item again for half an hour. After this second soaking, rinse your item for the final time. This process will leave your dye set. 1. How is your yarn manufactured? Yarnspirations carries yarn made with both synthetic and natural fibers. The wool used in our yarn comes from sheep raised in Australia, New Zealand, South America, and Falkland. It is brought to the United Kingdom, where it is blended together in a roughly equal combination of content from each region, though this does vary from load to load. The cotton used in our yarn is USA grown, though is not classified as organic or GMO-free. All of our products are not treated or dyed with any epoxy or varnish compounds. We do not use Urea Formaldehyde Resin or Disperse blues. All of the materials used to manufacture our yarns are Oeko-Tex standard certified. This standard certifies that the dyestuffs used do not present a health risk or risk to the environment. 2. Are your Patons yarns or patterns the same as Patons UK or Australia? Please note that Patons UK and Patons Australia are separate entities and are not affiliated with Patons North America. Our patterns and yarn are produced by Patons North America. 3. I live outside of the U.S. & Canada, why can't I buy Patons product from you? As we mentioned above, we are unable to sell Patons yarns outside of the United States and Canada. All of our patterns, including Patons, are available for download worldwide. If you have a Patons yarn in mind that you'd like to purchase we recommend going to an authorized retailer in your country. 4. Which of your wool yarns will felt? You can use Patons Classic Wool Worsted, Patons Classic Wool Bulky, and Patons Classic Wool Roving for your felting projects. 5. How does the striping effect of Bernat Pop! yarn differ from other yarns? Bernat Pop! is a print dyed yarn, which means this yarn undergoes a different dying process than other self-striping yarns. The result is that every ball of Bernat Pop! will have the same colors, though each ball may not start and end with the same color or include the same length of each color. 6. I am looking for a specific yarn but don’t see it listed on your website, can you help? 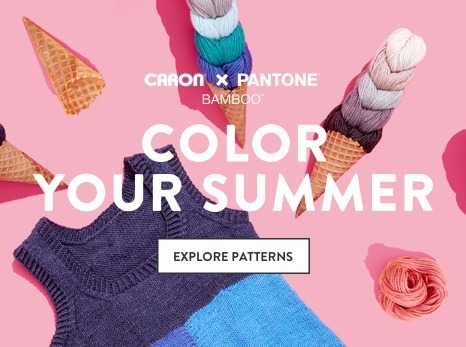 If you are looking for a specific product made by Caron, Bernat, Patons, Lily Sugar’n Cream, or Phentex, but don’t see it listed on our website, it could mean that this product has been discontinued or that the product is sold exclusively at other retailers. Products listed as “Out of Stock” are still in production and will be re-stocked. While Yarnspirations does not offer a printed catalog of our products, our website acts as an online catalog of the products we carry and currently have in stock. If you have purchased Bernat Tizzy yarn and would like to return it as part of our voluntary product recall, please contact our Customer Care team directly here.